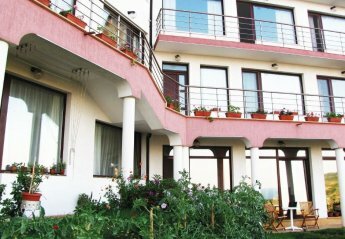 Found 167 holiday rentals in Black Sea Coast. Extremely Spacious Villa with 2 En Suite Bedrooms. Fully equipped with Free WiFi, TV, DVD player, Kitchen, Fridge/Freezer, 2 balconies. Fantastic views of the coast. Shared use of swimming pools. 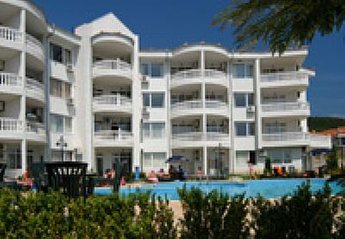 Two bed apartment in Dinevi Resort, Vlas. 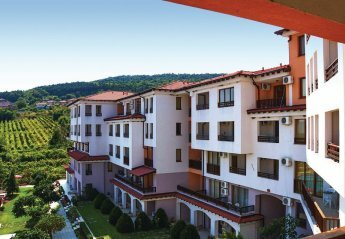 Spacious and luxurious, two bedroomed air conditioned apartment in Lazur Complex within the exclusive Dinevi Marina Resort in Sveti Vlas, Bulgaria. 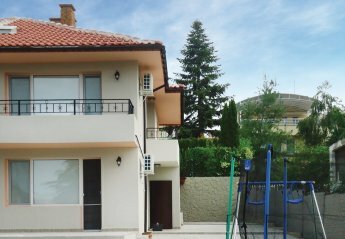 Modern 5 bedroom detached villa all with en-suite, open plan living/dining, kitchen, air con, private pool Panaramic views. Beautiful luxury 3 bed villa with 40m2 private pool+ private garden.1 double bedroom en suite. 1 twin/double en suite.1 twin/double with adjacent shower room. Breathtaking views. LUXURY VILLA & APARTMENT/POOL-WIFI- Taking Bookings for 2018! 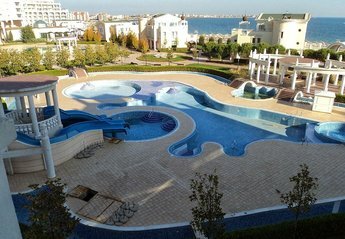 LUXURY VILLA & APARTMENT & PRIVATE POOL & LARGE SUN TERRACE. FREE Wi-Fi & AIR CON. SLEEPS 8. FULLY CERTIFIED WITH TOURIST AUTHORITY. GREAT VALUE FOR THE FAMILY OR WITH FRIENDS. 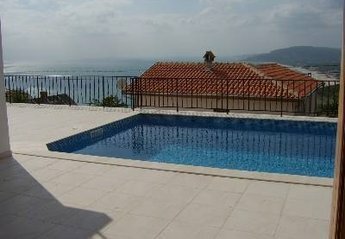 This luxury rental villa is situated in the peaceful village of Preceltsi with excellant views . An ideal location for local beaches, fishing and shopping in Varna. 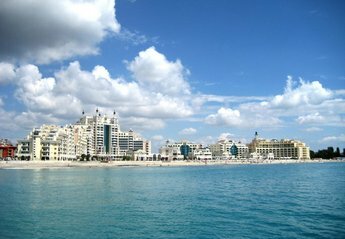 Riving holiday on the Black Sea coast! 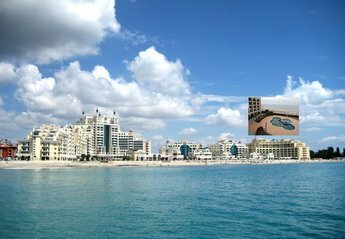 If you are looking for a quiet and relaxing holiday, Summer Dreams Holiday Residence is your choice for Sunny Beach - the biggest resort in Bulgaria, with the longest and widest beach strip. 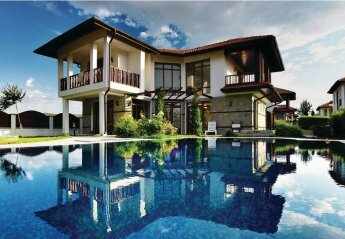 Located 400 m away from the sandy beach, the Villa Sequoia enjoys a quiet location overlooking the Black Sea. It offers a garden with a barbecue area and free Wi-Fi. Free private parking is available. Looking for a short break or a family holiday with all your comforts of home? Then Sea Dreams has it all. This is a stylish newly finished family run complex, with great attention to detail. 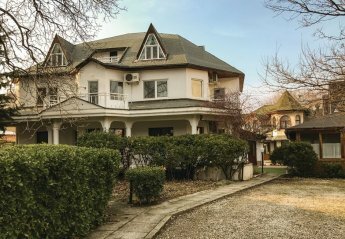 Our top-rated Villa is located in Varna - the sea capital of Bulgaria, between the world famous resorts St. St Konstantine and Elena and the Golden Sands and only 7 km from the center of the city. Well appointment 3 bed family villa with 2 x double en-suite with balconies & 1 x twin & adjacent shower room downstairs. Fully equipped kitchen, washing machine, ample outdoor furniture, many extras. 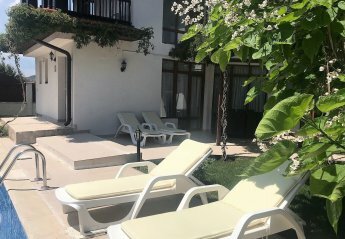 2 Bedroom, 2 bathroom Villa with amazing sea Views, Private Pool and garden - includes access to the 5 star Vineyards facilities. 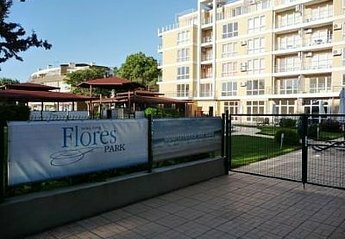 Sunset Resort, Pomorie, Bulgaria, Large 2 Bedroom apartment situated on the 3rd floor of Eta building. 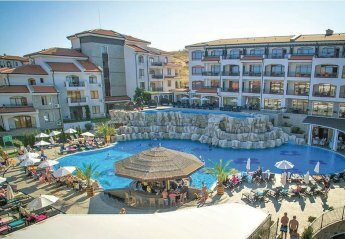 Family 2 bed apt situated on the 6th floor of Sigma (the main building of the resort) with a good view of the new Aqua park that was built in 2016, approximately 150 meters walking distance away. 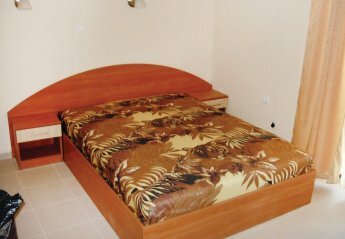 This 2 bedroom villa with swimming pool is located in is located in Kableshkovo and sleeps 6 people. It has WiFi, a garden and barbeque facilities. This 5 bedroom villa with swimming pool is located in is located in Chayka and sleeps 10 people. It has WiFi, a garden and barbeque facilities. 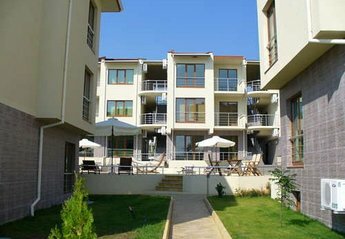 This 2 bedroom apartment is located in is located in Sozopol and sleeps 6 people. It has WiFi and air conditioning. 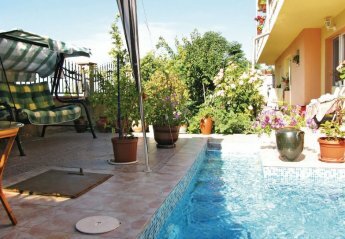 This 2 bedroom apartment with shared pool is located in is located in Kableshkovo and sleeps 6 people. It has WiFi, barbeque facilities and parking nearby. 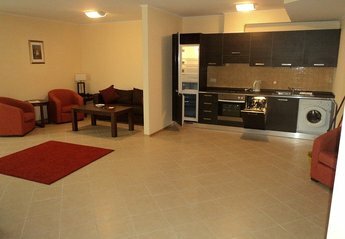 This 2 bedroom apartment with shared pool is located in is located in Sunny Beach and sleeps 7 people. It has WiFi, parking nearby and air conditioning. This 4 bedroom villa is located in is located in Zora and sleeps 8 people. It has WiFi, a garden and barbeque facilities. 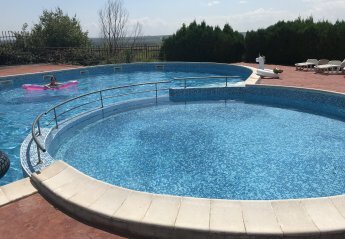 This 4 bedroom villa with swimming pool is located in is located in Luben and sleeps 9 people. 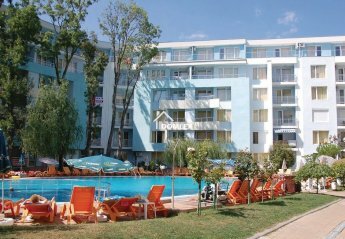 It has a garden, barbeque facilities and parking nearby. 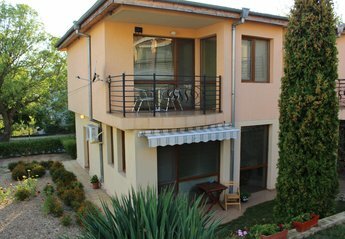 This simple apartment is on the second floor of an attractive building, in the centre of the romantic town of Balchik. 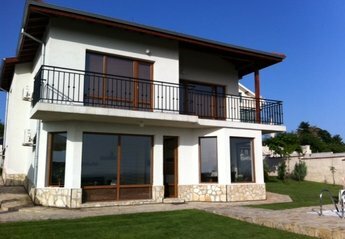 This beautiful holiday house is located on a hill with stunning views of the sea and the surrounding area in Balchik- the white city on the Bulgarian Black Sea coast. 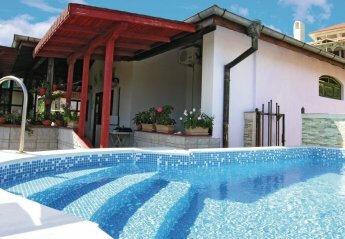 This 3 bedroom villa with swimming pool is located in is located in Kableshkovo and sleeps 8 people. It has WiFi, a garden and barbeque facilities. This 4 bedroom villa with shared pool is located in is located in Budzaka and sleeps 8 people. It has WiFi, barbeque facilities and parking nearby. 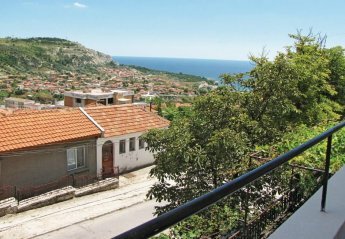 This charming holiday apartment is on the first floor of a house where another apartment is also located (see BGN187). The apartment consists of two bedrooms. 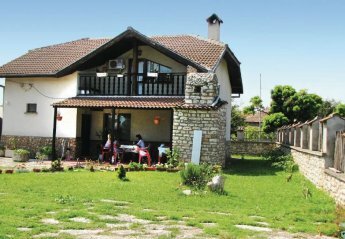 The house is located in the small town of Shabla and is built in old Bulgarian style and cladded with stone slabs. The town-centre is close by. 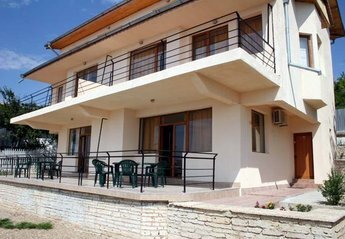 This 3 bedroom villa is located in is located in Kosharitsa and sleeps 9 people. 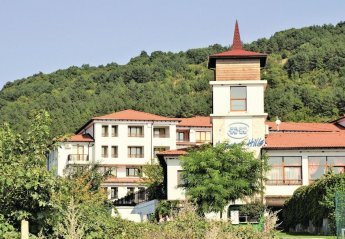 It has a garden, barbeque facilities and parking nearby. 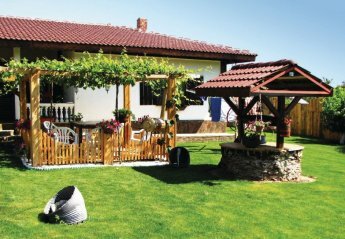 This cosy cottage has been built in typical Bulgarian style and is nestled in a beautiful small town. 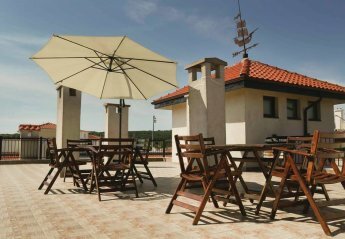 This 5 bedroom villa is located in is located in Sv Konstantin I Elena and sleeps 10 people. It has WiFi, a garden and barbeque facilities. 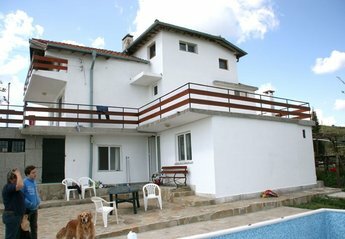 This 2 bedroom villa with swimming pool is located in is located in Rogachevo and sleeps 6 people. It has WiFi, barbeque facilities and parking nearby. The villa is near golf. This modern and detached house offers you total comfort and tranquillity. The living room is very spacious and provides a magnificent view of the blue sea. The elegant decor is of high quality. 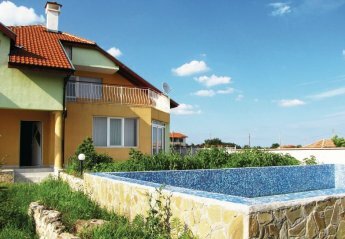 This 2 bedroom apartment with swimming pool is located in is located in Rogachevo and sleeps 6 people. It has WiFi, barbeque facilities and parking nearby. The apartment is near golf. 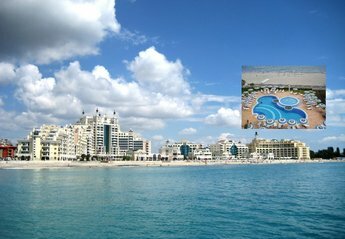 We found 167 holiday rentals in Black Sea Coast.